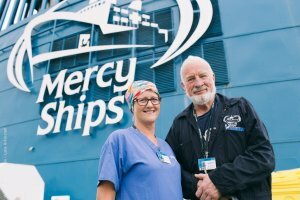 Mercy Ships recently signed a collaborative agreement with the World Health Organization in the African Region, to improve surgery and anaesthesia services in Africa. 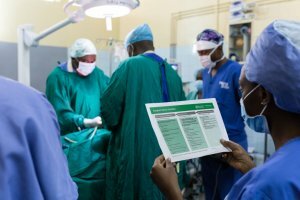 The agreement aims to increase access to surgical care and build capacity of health workers to strengthen surgical care delivery systems. 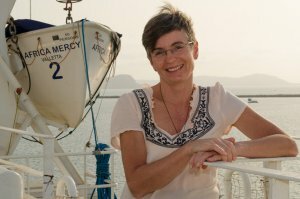 It was signed in Dakar, Senegal, by WHO Regional Director for Africa Dr Matshidiso Moeti and Dr Peter Linz, International Chief Medical Officer of Mercy Ships. 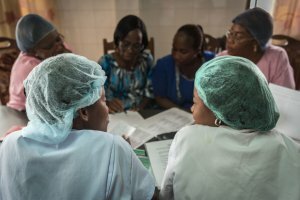 “This agreement epitomises what the Transformation Agenda in the African Region is all about – joining hands with new partners, working together towards improved, equitable access to healthcare services – to transform people’s lives, bringing hope and healing on the African continent,” said Dr Moeti. 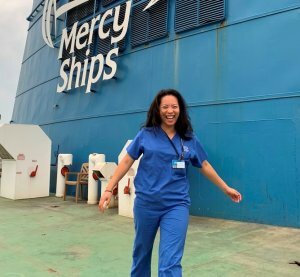 During their bilateral discussion, Mercy Ships and WHO highlighted the gaps in safe, affordable and timely access to essential surgical care, and underscored the need to ultimately work to ensure that no one is left behind. 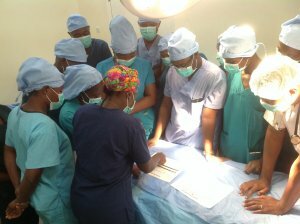 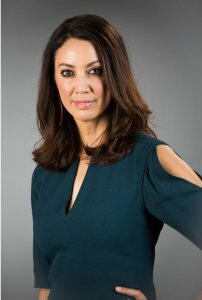 A report published in The Lancet earlier this year found that there is a severe lack of surgical provision in African countries: the number of operations provided annually was 20 times lower than the crucial surgical volume required to meet a country’s essential surgical needs each year. 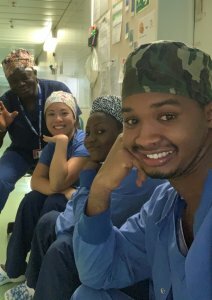 Furthermore, when African surgical patients can get the surgery they need, they are twice as likely to die after their planned surgery than the global average. 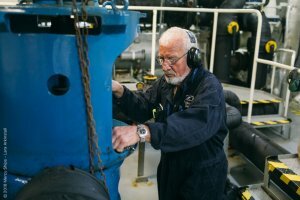 The agreement between Mercy Ships and WHO covers a range of activities including strengthening health systems and building the capacity of health workers, providing technical assistance to the integration of surgical, obstetric and anaesthesia services in National Health Sector Strategies and Plans. 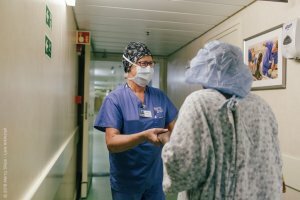 It also includes contributing to health infrastructure development and supplies in partner hospitals and clinics aligned with Mercy Ships programmes and in collaboration with country priorities, as well as documenting and disseminating surgical best practices for improving the quality of care. 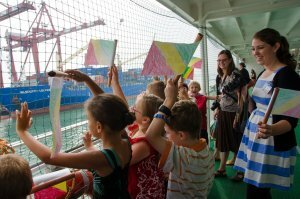 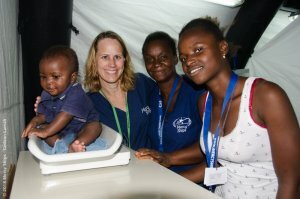 Dr Linz was accompanied by Mercy Ships Ambassador for Africa – Dr Pierre M’Pele. 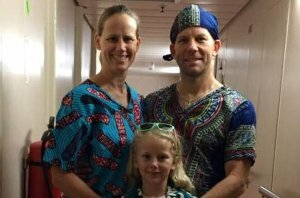 Pictured (l-r): Dr M’Pele, Dr Linz and Dr Moeti.